Construction aggregates are one of the most important natural resources in the world for economic growth and development. Whether or not they realize it, every person in this country uses about 10 tons, or 20,000 pounds of aggregate products every year. Crushed stone aggregates are around you every day – where you work, where you live and where you shop and play. They are an essential raw material for infrastructure and public works projects including roads, sidewalks, bridges, railways, airports, schools, hospitals and more. Even the average home requires about 400 tons, or 800,000 pounds of aggregates to construct. Aggregate stone products come in various shapes and sizes depending upon the use of the material. They are the main ingredient in both concrete and asphalt pavements. Both utilize rinsed “clean stone” products like #57, #67, and 78M as well as stone screenings also known as manufactured sand. Those are just the materials that are visible. Most construction sites actually require significantly more stone “base” materials like Aggregate Base Course (ABC), processed fill and stone screenings to make the ground suitable for construction. Aggregate products are also used in many ways to protect the environment, often as a method of preventing erosion, stabilizing slopes and waterways, and even as an important medium for filtering and removing contaminants from air and water. Construction aggregates are safe and sustainable materials, produced from a variety of naturally occurring rocks in the ground. They are strong, durable, and when local sources are available, aggregate products are also inexpensive. In general, anytime the quarry source is more than just a few miles away, the cost of transportation exceeds the cost of the stone products. There are thousands of quarry operations across the country producing billions of tons of crushed stone every year. 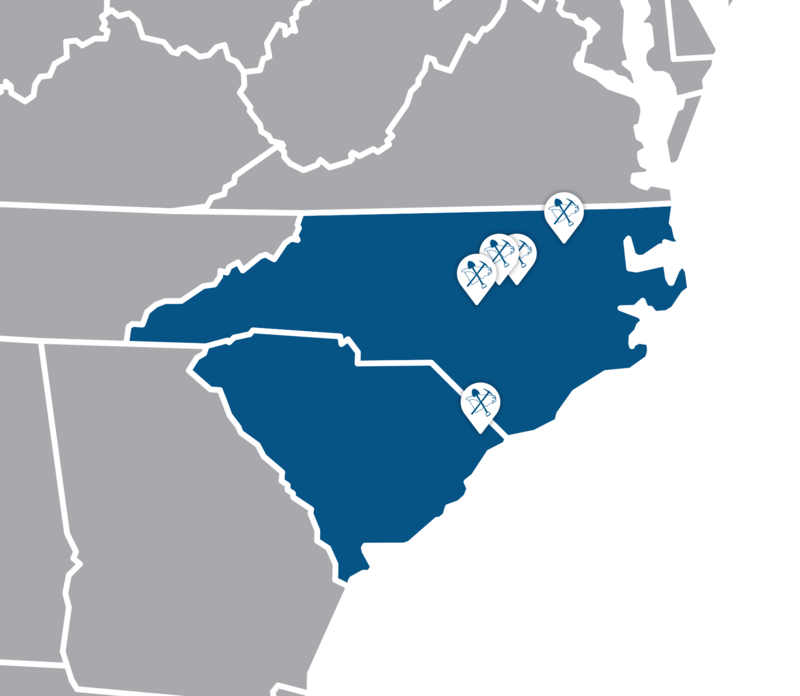 North Carolina is consistently one of the top ten states in the U.S. for the production of construction aggregates, and Wake Stone is a leading producer of various aggregate stone products in the Carolinas. We have provided materials for many major infrastructure and public works projects throughout central and eastern North Carolina and along the South Carolina coast, as well as countless commercial, industrial and residential developments. 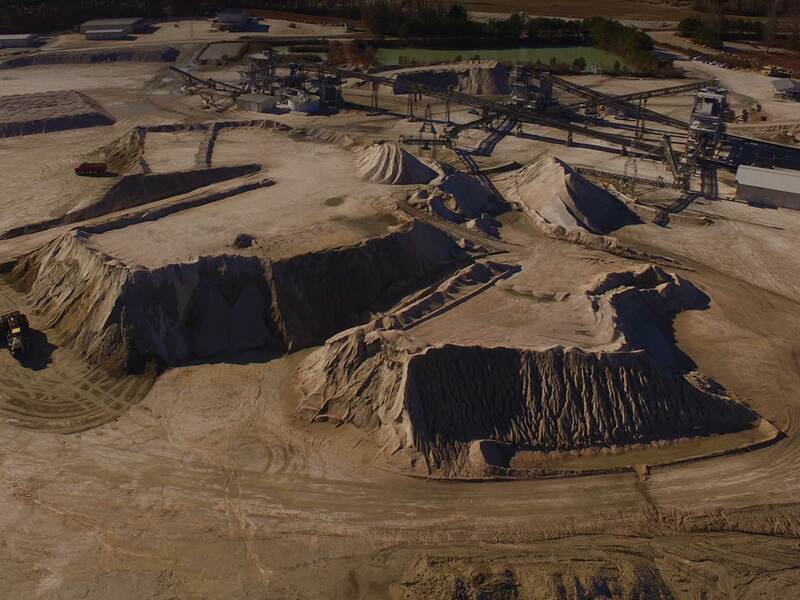 With North Carolina quarry operations in Wake County, Lee County and Nash County, as well as Horry County in South Carolina, Wake Stone is well positioned to continue providing quality aggregate products and unmatched customer service for many decades into the future.